The collection is housed within Avenue House, a mansion in Finchley that ‘Inky’ Stephens bequeathed to the council for the enjoyment of the public. 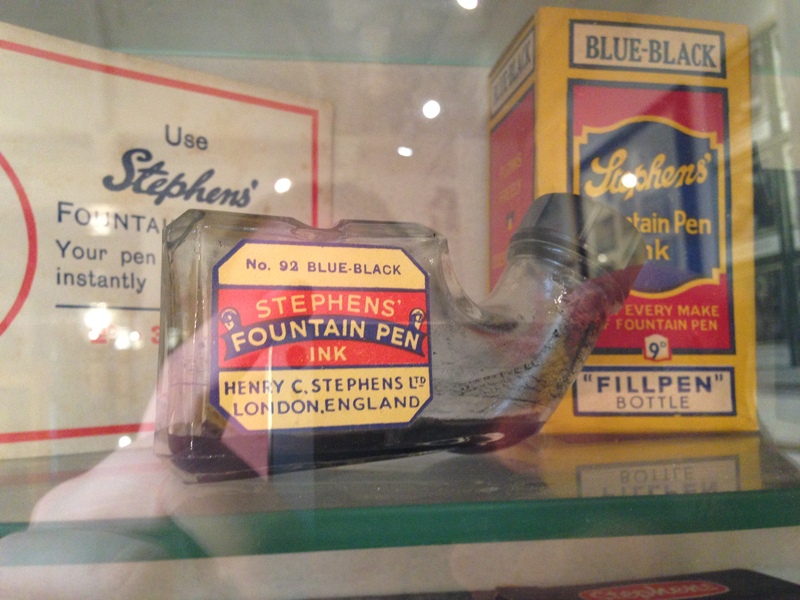 It’s a small exhibition, devoted entirely to Stephens Ink. The ink was invented by Dr Henry Stephens. 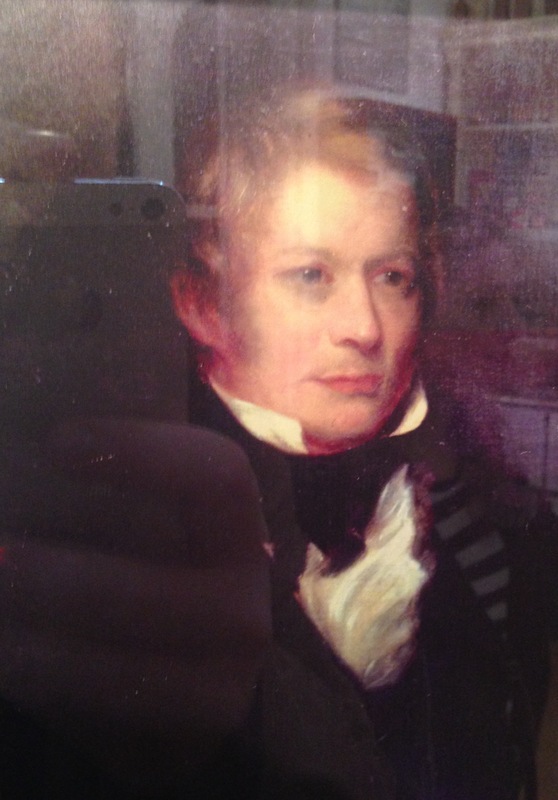 He was apprenticed to Mr John Winkfield in 1816, and after 5 years was awarded his certificate to practise medicine. Whilst training, a fellow student was poet John Keats. He also got to know Charles Dickens and Charles Lamb during his studies. 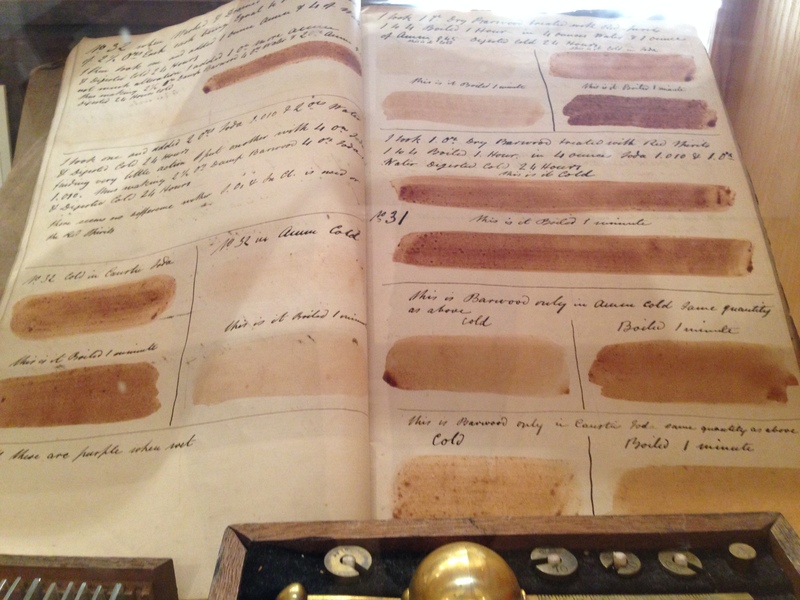 In the basement of his house, he experimented with methods for developing his own ink. He later manufactured and sold it – patenting his processes and associated products. 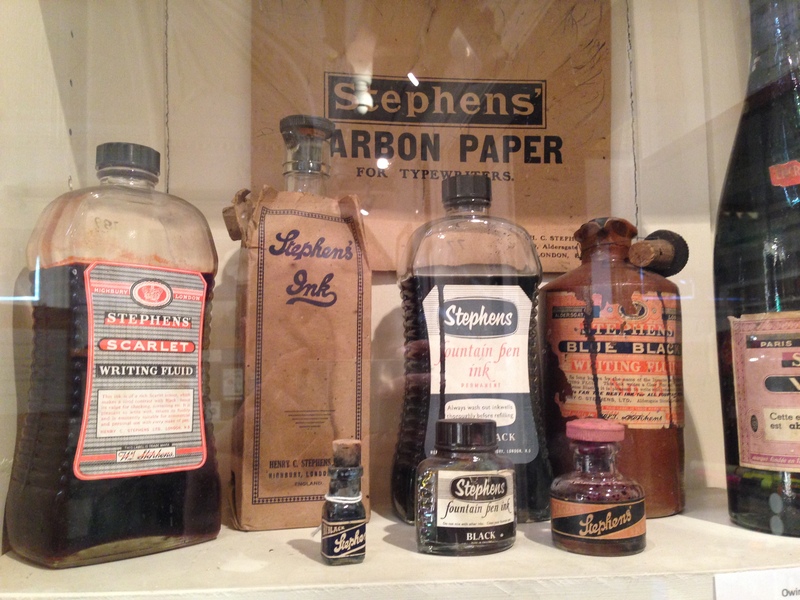 Henry Charles Stephens, son of Dr Stephens, expanded the Stephens Ink Company into international renown. 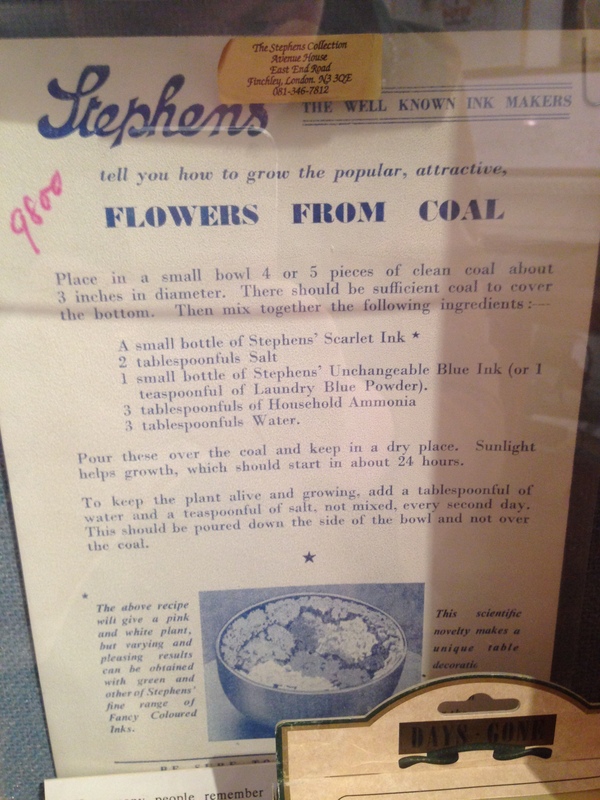 He was affectionately known as ‘Inky’ Stephens. 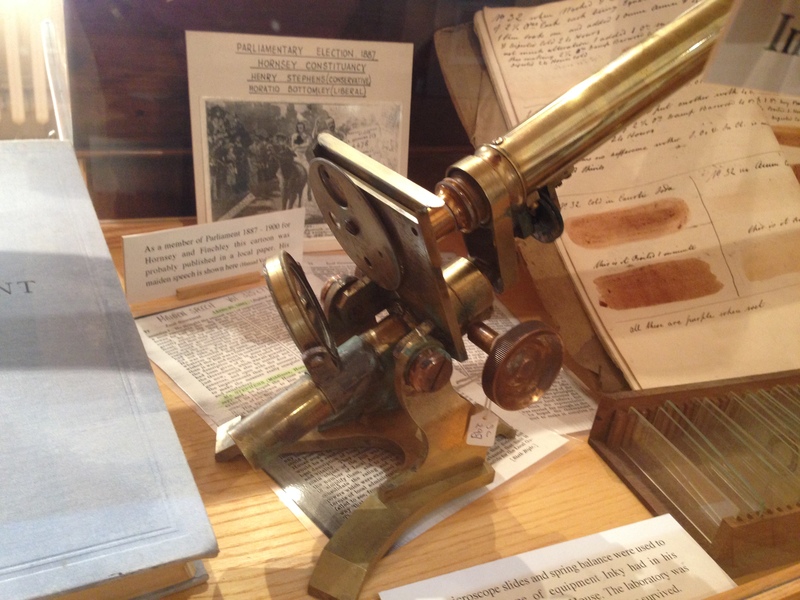 Inky followed in his father’s footsteps with regards to product development, forever tinkering with microscopes and chemicals in his laboratory, in an attempt to improve the ink products. Here’s a copy of his book, used to record those experiments. Almost every great person we’ve learned about on the museum challenge this year has kept, and obsessively used a notebook or lab-book. 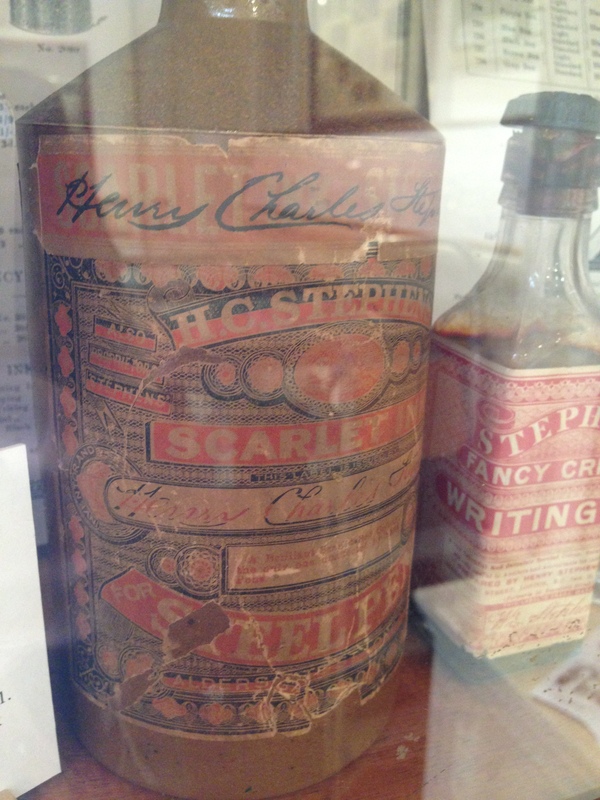 One formula he created for black ink (c. 1910) included 1lb of crushed galls in 12 pints of soft water, heated to boiling, before adding 8oz green vitriol and bottling. The bottle was then shaken daily for several weeks before 6oz of gum was added, it was strained and then rebottled. Hard work to produce! 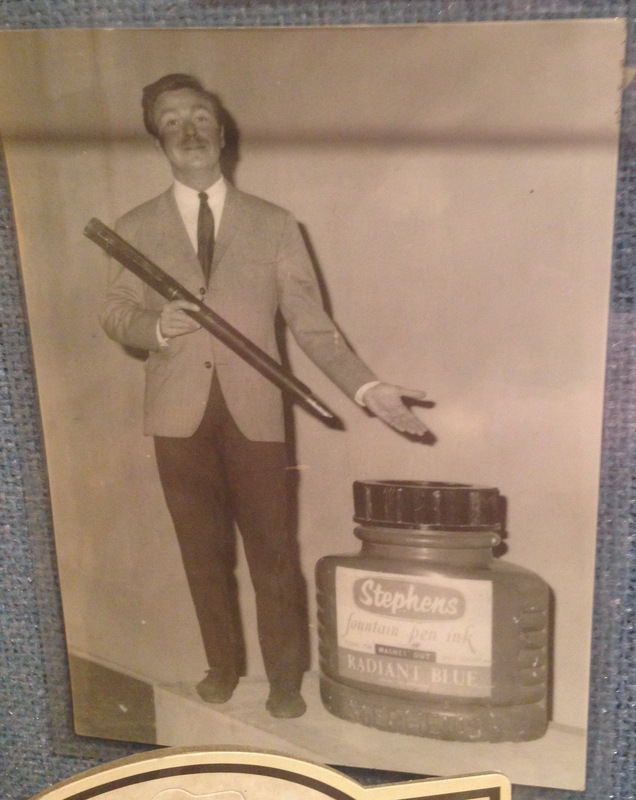 Early advertising for the Stephens’ Company products included bus tickets, letter openers and a rather flash press advert featuring a young Des O’Connor. How’s this for an early example of ‘content’ from a manufacturer too? There were lots and lots of old product examples. Including this one from 1870! I love how this bottle shape has been created with the user in mind, not the manufacturing process. Beautiful. 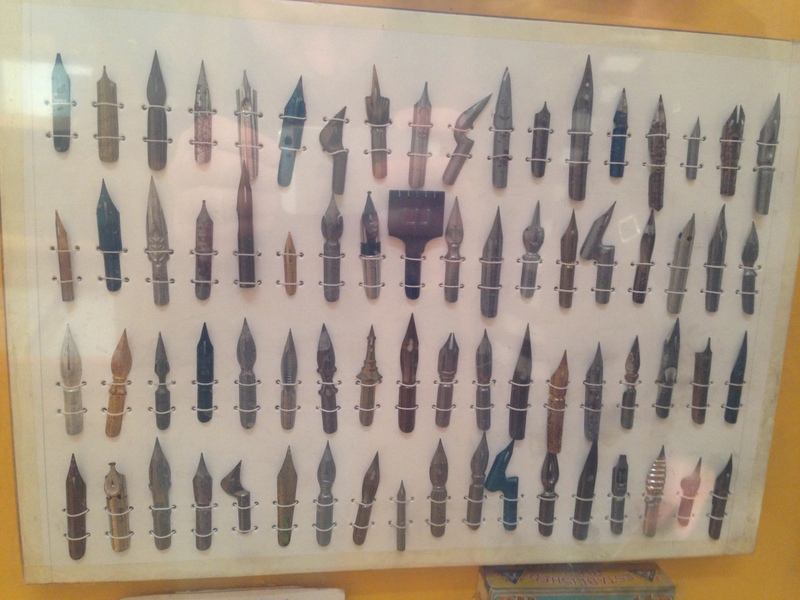 And lots of lovely pen nibs too. A small, but beautifully formed exhibition. #1. Inky Stephens published books on a wide-range of subjects, including Parochial Self-Government. #2. Owing to a shortage of new ink bottles in occupied France during WWII, the Stephens’ Company in Paris had to resort to selling ink in wine bottles. #3. Dr Stephens and John Keats shared lodgings in Poultry whilst they were studying. #4. The earliest fountain pen was patented by the Waterman company in 1884 in New York. #5. In Europe, the quill was the writing instrument of choice for over 1000 years.